Clearly and effectively communicating potential contaminants or hazardous materials is essential in any healthcare or community environment. That’s why at UAL, our infection control labels are brightly colored and large enough that any healthcare provider can easily identify the content's warnings. Additionally, our full line-up of infection control labels will help your company meet the guidelines of The Joint Commission, the World Health Organization, and the CDC. 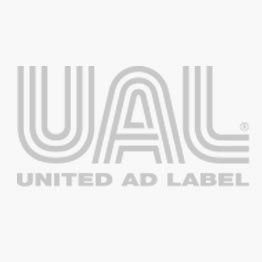 United Ad Label provides infection control label solutions for, but not limited to, manufacturing facilities, pharmacies, food services, and more. If you would like a more customized infection label, visit our Custom Label Builder! 2018 Got Flu Shot Did you?, 3/4" x 3/4"
Airborne Precautions Labels, 2-1/4" x 7/8"
Airborne Precautions Labels, 8" x 5.25"
Airborne Precautions Labels, 8-7/8" x 10-7/8"
Assortment Pack for Stop Sign Labels, 1-1/2" x 1-1/2"
Bilingual Biohazard Warning Label, 3" x 3"
Biohazard Label, Lam., 1" x 1"
Biohazard Product, 4" x 4"